Reverdia, a joint venture between Royal DSM and Roquette Frères dedicated to be the global leader in the market for sustainable succinic acid, has joined the consortium ADMIT BioSuccInnovate, an innovative Climate-KIC initiative funded by the European Institute of Innovation & Technology (EIT), along with the Institute of Biological, Environmental and Rural Sciences (IBERS) at Aberystwyth University and other European partners. The Consortium will explore with CIMV, a biorefining company, the use of locally-available lignocellulosic feedstock, such as wheat straw or miscanthus to produce bio-based, biodegradable plastic packaging for consumer markets in association with UK retailer Waitrose and food tray producer Sharpak. The project is in line with Waitrose’s sustainable packaging strategy. 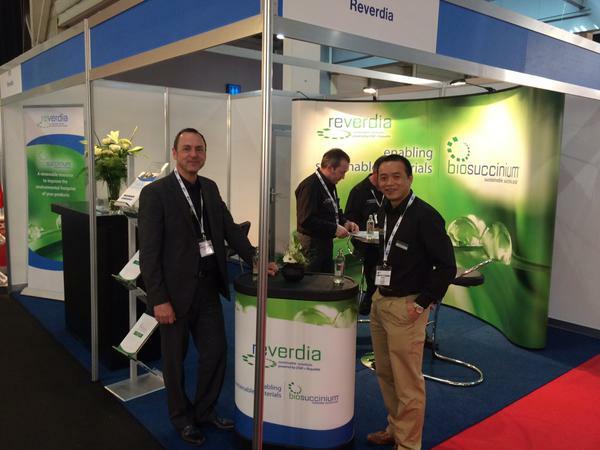 Reverdia contributes its Biosuccinium™ sustainable bio-succinic acid technology to help build a truly sustainable packaging value chain.